In editing Lyon’s memoirs I faced a number of technical decisions. The most important was how to reproduce his text. This was written after his final retirement (from Ethiopia) in 1949 and was finished by 1964. He did so secretively (because, for whatever reason, his wife did not approve of his doing it), from memory, and without access to standard reference works or even his own papers. These, including the letters he wrote regularly to his parents and later his wife, would have been extremely helpful to me. None has survived, apart from a small folder of limited value, which I have referred to as ‘Lyon Papers’. The longhand script was then typed by a secretary who was evidently not familiar with the place or period. The result is that the spelling of names of people, places and institutions in the typescript (the longhand version does not survive) is both internally inconsistent and also often different from that used by most of his contemporaries (which differed widely) and in his own reports etcetera of the period, as well as by later historians. 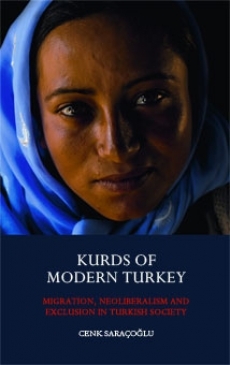 A Modern History of the KurdsOver the past thirty years the Kurds have been slowly gaining international attention. This reached a climax at the time of their flight from Saddam Hussein in March 1991. Today there are over 25 million Kurds. Yet the slow emergence of the Kurdish nationalist movements, and the reasons why successive governments in the region have sought to stifle them, are not widely known or understood.In this narrative, the first comprehensive account of recent Kurdish history, David McDowall traces the roots of Kurdish nationalism from the collapse of the Kurdish emirates in the nineteenth century and the consequent crisis in tribal politics, through the post-1918 peace settlement for which the Kurds were wholly unprepared, to the slow emergence of an educated non- tribal class during the middle years of this century. This new class faced two enemies. Externally, it had to resist the recently established regimes in Iran, Turkey and Iraq, all of which equated modernization with state nationalism, ethnic subordination and centralization. 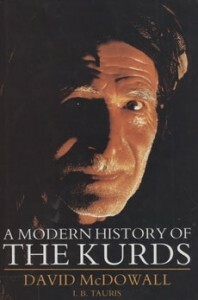 Internally, it had to transform a society based primarily on the socio-economic ethic of tribal patronage to one based on ethnic identity.McDowall shows how in each of these countries the struggle has taken on its own characteristics, problems and prospects; why pan-Kurdish unity still proves so elusive; and how governments have used the internal fault lines of Kurdish society to impede national progress. 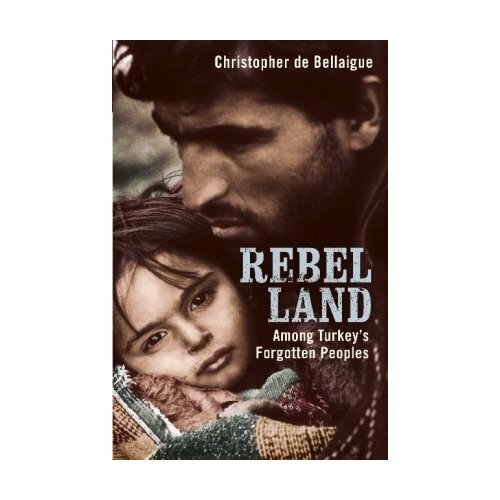 He also explains why the Kurdish question is unlikely to disappear and examines the likely prospects for the future. Unwitting Zionists examines the Jewish community in the northern Kurdistan town of Zakho from the end of the Ottoman period until the disappearance of the community through alihyah by 1951. Because of its remote location, Zakho was far removed of the influence of the Jewish religious leadership in Iraq and preserved many of its religious traditions independently, becoming known as “Jerusalem of Kurdistan”, the most important Jewish community in the region. Author Haya Gavish argues that when the community was exposed to Zionism, it began to open up to external influences and activity. 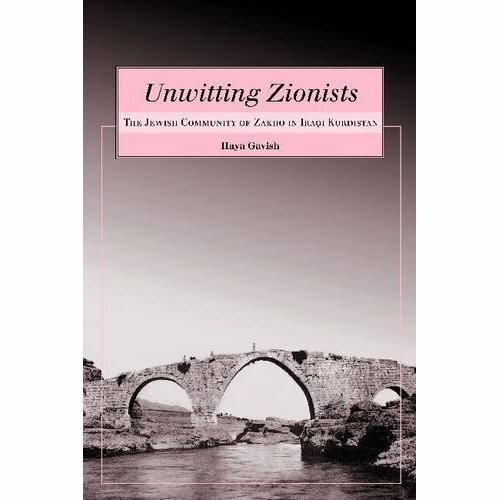 Originally published in Hebrew, Unwitting Zionists uses personnal memoirs, historical records, and interviews to investigate the duality between Jewish traditions and Zionism among Zakho’s Jews. Gavish consults a variety of sources to examine the changes undergone by the Jewish community as a result of its religious affiliation with Eretz-Israel, its exposure to Zionist efforts, and its eventual immigration to IsraÃ«l. 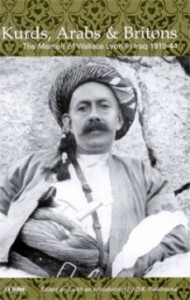 Because relatively little written documentation about Zakho exists, Gavish relies heavily on folkloristic sources like personnal recollections ans traditionnal stories, including extensive material from her own fieldwork with an economically and demographically diverse group of men and women from Zakho. She analyzes this firsthand information within a historical framework to reconstruct a communal reality and lifestyle that was virtually unknown to anyone outside of the community. Gavish also addresses the relative merits of personnal memoirs, optimal interviewer-interviewees’ memories in her study. Biographical details of the interviewees are included for additionnal background. Folklore, oral history, anthropology, and Israeli studies scholars, as well as anyone wanting to learn more about religion, community, and nationality in the Middle-East will appreciate Unwitting Zionists. 2. Zakho, an Island in the River. 3. Religious Attachment to Eretz-Israel. 4. Rabbinical Emmissaries : A Bridge to Eretz-Israel. 5. Aliyah in the Prestate Period : The Historical Context. 6. The British Mandate Period : Aliyah at All Costs. 7. Zionism in Zakho : Zionist Cell or Center for Illegal Immigration ? 8. Social Upheaval and National Emancipation. 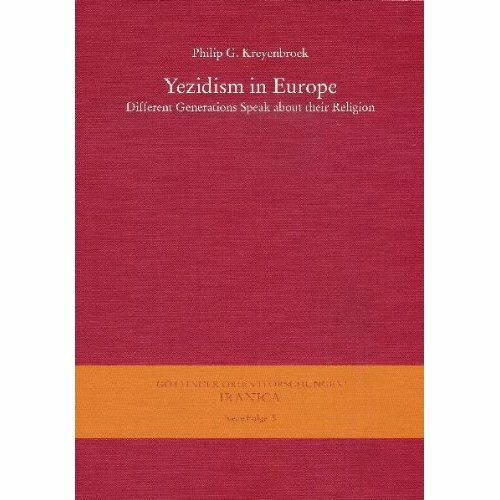 Interviewees : Biographies of Members of the Zakho Community. Interviewees : Emmissaries to the Zionist Underground in Iraq. Toward the end of 1948, the family of Abraham Zaqen hired Jewish raftsmen from Zakho to transport sawed trees down to the river and floated them to Mosul, where they were to be sold. A heavy snowstorm delayed them up for a few days in one of the villages, and only on the sabbath the sun finally break through the clouds. They dearly wanted to warm themselves, but due to the Sabbath refrained from lighting a fire. And so, they began dancing, in traditionnal Kurdish fashion : the lead dancer sang “tee, tee, tee”, waving a kerchief in his free hand, and all the others replied, “Israel”, referrinf to the Jews, the People of Israel. That was the tradition among Zakho Jews. Some Kurds also gathered round the enthusiastic dancers, but one of them â€“ a policeman, a soldier, or a drunk â€“ complained to the authorities, accusing the Jews of “Zionism”. 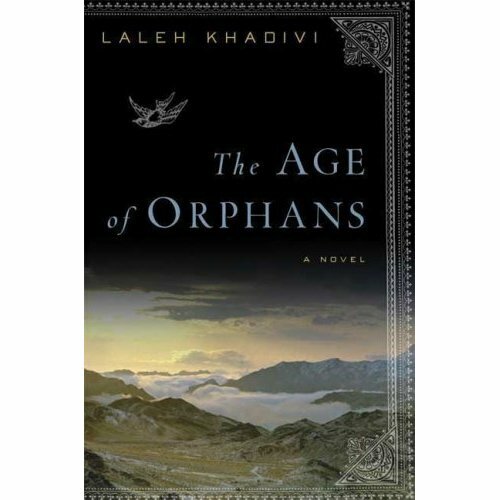 The dancers were arrested, brought to Zakho and from there to Mosul, where four of the oldest among them were freed. The other eleven were taken to Baghdad for trial in a military court and sentenced to imprisonment. From that day on, the Jews of Zakho had their own “Prisonners of Zion” (Heb. assirei tziyyon, persons who were persecuted because of their Zionist activity or aspiration). I heard many versions of this story from former Zakho Jews, four of whom were among those inprisoned. Although there was a consensus among all my interviewees about the event itself, for many years they disagreed regarding details and interpretation. Did the raftsmen dance innocently to warm themselves or were they expressing their joy at the establishment of the State of IsraÃ«l ? Did the lead dancer wave a simple kerchief or was it intended the Israeli flag ? Was “tee, tee, tee, Israel” merely a traditionnal phrase, sung when dancing at weddings and other celebrations, referring to the People of IsraÃ«l throughout its lengthy history ? This episode was a traumatic event for the Jews of Zakho. When their community came to an end in 1951, with the mass immigration to Israel, the prisonners remained behind, in jail. They were released only later and came to Israel with the last migrants from Iraq. This episode is indicative of the duality between Jewish tradition and Zionism among the Jews of Zakho. Such duality in Jewish communities tje world over, including those in Islamic countries, has been the subject of much research. It is not my intention to define Zionism, but rather to delineate the Zionist consciousness of Jews in this community, as understood and put forward by those whom I interviewed. Though the community of Zakho, a town in northern Iraqi Kurdistan, was geographically remote and far removed from the influence of the Jewish religious leaderhsip in Iraq, it unswervingly preserved its traditionnal â€“ that is, religious â€“ character. It generally wrestled with its problems by itself and, as the most important community in the region, was sometimes known as the “Jerusalem of Kurdistan” (â€¦). The Conference and Banquet are open to the public and all are welcome to participate. There is no charge for the Conference Sessions;Â there will be an admission fee for the Newroz Banquet on Saturday. The University of Salahaddin is accepting applications from students in Kurdistan region for studies in Germany, Poland, and Russia in Masterâ€™s and Doctorate degrees. The scholarships are provided by the Iraqâ€™s minister of Higher Education and Scientific Studies. But officials at the Salahaddin University say that they have not received a warm welcome by the students although the deadline for applications is approaching fast. There are 20 scholarships that are going to be awarded for studies in scientific fields in Russia. Six scholarships will be awarded to students who want to study in Poland in Law, Mathematics, Information Technology, Geography, History and Administrations and Economy. There are a few scholarships that will be awarded to students who want to study in Germany. Sherzad Mohammed, head of the Academic Relations office at the University of Salahaddin, told Rudaw that so far his office has not received many applications. There are a number of qualifications that students should have in order to apply for scholarships. For example applicants for Doctorate degree must have obtained an average of 75 out of 100 in every subject he has taken in graduate studies. Applicants for Masterâ€™s degree must have obtained 70 out of 100. The age of applicants must be under 35 and the deadline is February 28. As a Kurd, I am so honored to see the promising developments in the southern part of our homeland and also to see you as the Prime Minister of a unified Kurdish government. I have no doubt that you will serve our nation in the best possible way. As the Kurds of the North (of Kurdistan) who are victims of cruel denial and suppression policies of the Turkish state and deprived of basic human rights, we turn our hope to southern Kurdistan and expect you to take some steps for 25 million Kurds in the biggest part of Kurdistan. As you well know, we still can not speak Kurdish freely or get education in our mother tongue. Our language can not have any channels to survive and flourish. Due to this, the situation of the Kurdish language is getting worse by the day and speakers of our beloved language are decreasing gradually. Even in the capital city, Amed, the daily social, cultural and political life is in Turkish. Needless to say, PKK is just as guilty as the Turkish state for not paying enough attention to the Kurdish language and culture and not prioritizing it. As Dr. Ismail Besikci states in one of his recent interviews, PKK uses the words Kurd and Kurdistan quite often, yet it has always used Turkish in its publications. There is also a significant amount of Turkish on Roj TV despite the worsening language issue; TV officials donâ€™t seem to take any precautions on this matter. While this is the gloomy picture of the North, we are enthusiastically looking forward to seeing good news from you about the worldâ€™s most oppressed language, the Kurmanji Kurdish dialect. It is a Kurdish dialect spoken by more than 25 million Kurds and subjected to countless repression; it wasnâ€™t ever allowed to live freely, to be the language of academia, or be studied in universities except in the tiny Kurdish community in Armenia. Its speakers have always been tortured, beaten and killed; singers and writers were always persecuted. As a result of such brutal policies, millions of Kurds are not able to speak their mother tongue and the numbers of Kurmanji speakers seem to be dying day by day. As the Prime Minister of Kurdish Regional Government, we expect your government to take immediate measures to protect Kurmanji from disappearing all together. In my opinion, a Kurmanji conference should be organized, for instance in Duhok, as soon as possible with the participation of Kurmanj linguists, academicians, and writers to determine the strategies needed to keep Kurmanji alive and ways to flourish it. In addition, some funds should be arranged in order to publish Kurmanji books, newspapers, magazines and learning materials such as CDs and computer programmes. Such suggestions can be increased but must be prioritized in accordance with most urgent ones. While, as I mentioned before, we are expecting excitedly, for you to make the misfortunate situation of our beloved Kurmanji better, we are shocked by the recent news coming from the south. Kurmanji, which you call Behdini over in the south, has no value and status. Although the amount of Kurmanji speakers in the South is not much less than the Sorani speakers, it is very disappointing that the Iraqi Kurdish leaders and politicians treat it like a step-son. According to Permanent Committee on Geographical Names (http://www.pcgn.org.uk/The%20Kurdish%20 … 20Iraq.pdf) the amount of Sorani speakers is 2.8 million (10.6% of Iraqi population) whereas the amount of Kurmanji speakers is 2.2 millions (8.4 of Iraqi population). Despite the fact that there is little difference in the figures of the statistics, it is very saddening to see Kurmanji be put in this position. Furthermore, it is no doubt that Kurmanji is the widely spoken dialect of the Kurdish language spoken by 75% of all Kurds. It is also the only dialect spoken in all four parts of Kurdistan, while Sorani is only spoken in two parts; some parts of Iraqi Kurdistan and Iranian Kurdistan. If Kurdistan is one and Kurdish people are brothers, then there should be more respect and value for Kurmanji, and thus Kurmanji speakers. It is obvious that Kurdish people can not have a common language by ignoring Kurmanji or trying to lower its value. For this reason it is a shame to recently come across what we have been hearing and seeing all that is being discoursed in the news and the media. First of all, there is an obvious intention to remove Kurmanji/Behdini, where this removal includes the removal of Kurmanji even from classes in the Behdinan region and make all classes Sorani. Secondly, we have read with great enthusiasm that, on behalf of the Kurdistan Regional Government, you signed an agreement with Microsoft as a participant of a world wide Windowsa Kurdi (Kurdish Windows) initiative. I, along with a number of other Kurds, felt honored and pleased to see such a development. Yet, like millions of Kurmanji speaking Kurds, it devastated me to hear that this Microsoft Windows will only be in Sorani with Arabic letters which means we, the Kurds of Turkey, will not be able to utilize such a product. I hope what has been reflected in the media is not true and that your government has made a deal with Microsoft for a Kurmanji Windows as well. We have to understand the situation at hand was the doing of our enemies and those whose wish is to divide Kurds. To further the work of such enemies, that is by banning and removing Kurmanji, we are not progressing in any way but rather retreat the accomplishments we have made over the years. To make official such a decision will further deteriorate the unity the Kurds have experienced. Such an action is being done at the expense of the majority, where democracy fails to work and absolutism seems to prevail. I am a proud Kurd and I love anything related to Kurds and Kurdistan. Although I am a Kurmanji Kurd, I also learned some Sorani not because it is superior or special, but because it is a part of my language. I love all Kurdish dialects and spend a great number of hours trying to learn more about them. Yet, our beloved Kurmanji, which was passed down to us by Ehmede Xani, Melaye Ciziri, Feqiye Teyran, Ehmede Beyazidi, Cegerxwin and beautiful voices of Mihemed Arife Ciziri, Hesen Ciziri, Eyshe Shan, Meryemxan, Mihemed Shexo, Karapete Xacho, Sheroye Biro, Kawis Axa and many others seems to come to a downfall for reasons we can overcome. It is our nationalistic and patriotic duty to preserve and promote it and pass it to future generations. At this point, the biggest responsibility falls onto Your Excellencyâ€™s shoulders and the hard working Kurdish politicians like yourself since you are the Prime Minister of the only free part of the homeland and along with your colleagues are the hope for all Kurds in South Kurdistan. I wholeheartedly hope and believe that your government will take necessary measures to preserve and develop Kurmanji and that Kurmanji Microsoft Windows will be the first step in this direction. WekÃ® KurdÃªn welatparez dÃ®tina pÃªÅŸveÃ§Ã»nÃªn baÅŸÃ»rÃª welatÃª me Ã» bÃ»yÃ®na we ya serokwezÃ®rÃª Hikumeta YekbÃ»yÃ®, me pir serbilind dike. Em ji dil bawerÃ®ya we dikin ku hunÃª vÃ® karÃ® bi serfirazÃ® bicÃ®h bÃ®nin Ã» xÃ®zmeta netewa xwe bikin. WekÃ® KurdÃªn bakÃ»r ku bi sedan sal in bÃ»ne mexdÃ»rÃªn sÃ®yaseta zilm Ã» zordarÃ®ya dewleta tirk Ã» ji ziman Ã» nasnameya xwe bÃªpar mane, me berÃª xwe daye baÅŸÃ»rÃª welata xwe ku hun jÃ® jibo 25 mÃ®lyon KurdÃªn, li mezintirÃªÃ®n perÃ§eya KurdistanÃª hinek pengavan pÃªÅŸÃ§av bavejin. WekÃ® hun baÅŸ dizanin, em hÃ®n jÃ® nikanin bi azadÃ® KurdÃ® bipeyvin Ã» bi zimanÃª xwe dayikÃª perwerdÃª bibÃ®nin. Ti derfet tune ne ku zimanÃª me bijÃ®, biveje Ã» pÃªÅŸkeve. Seba vÃª yekÃª, rewÅŸa zimanÃª KurdÃ® herku dihere xirabtir dibe Ã» qisekerÃªn zimanÃª me ya delal roj bi roj hindiktir dibin. Heyf e ku li paytaxta Kurdistana mezin, li AmedÃª jÃ® zimanÃª rojane ya civakÃ®, kulturÃ® Ã» siyasÃ® bÃ»ye tirkÃ® Ã» ev yek eÅŸekÃ® mezin dide dilÃª me. Ne hewce ye meriv bÃ®ne zimÃªn ku, li ser vÃª rewÅŸa xirab, PKK jÃ® bi qasÃ® dewleta tirk berpisÃ®yar e jiber ku girÃ®ngÃ® Ã» qinyat neda ziman Ã» kultura KurdÃ®. Wek, mamoste ÃŽsmaÃ®l BeÅŸÃ®kÃ§Ã® jÃ®, di yek ji hevpeyvÃ®nÃªn dawÃ® anÃ®bÃ» zimÃªn her Ã§i qas PKK gelek caran qala Kurd Ã» KurdistanÃª dike jÃ®, di hemÃ® weÅŸanÃªn xwe de tirkÃ® bikar tÃ®ne. Her Ã§end wekÃ® me gava dinÃ® jÃ® gotÃ®, rewÅŸa zimanÃª me xirantir bibe jÃ®, di Roj TV,de nÃ®sbeta tirkÃ® pir zede ye Ã» birÃªvebirÃªn televizyonÃª ne di vÃª xem Ã» fikara de ne. Gava ev be, rewÅŸa me ya reÅŸbÃ®n, em bi heyecanekÃ® mezin li we dinerin ku, li derheqa KurmancÃ® ku, li dinÃª zimanÃª herÃ® bindest e Ã» zordarÃ® Ã» tadayÃ®yÃªn pir giran dÃ®tÃ®ye, dengÃ»basÃªn xweÅŸik Ã» pengavÃªn xurt bibÃ®nin. KurmancÃ® ku zimanÃª ji 30 milyonan pirtir Kurdan e, rastÃ® gelek zehmetÃ® Ã» dijwarÃ®yÃªn bÃªdawÃ® bÃ»ye Ã» ti car derfet nehatÃ®ye dayÃ®n k ubi serbestÃ® jÃ®yan bike, bibe zimanÃª zanistÃ® ye Ã» di zanÃ®ngehan de were xebitandin. QisekerÃªn wÃª, her dem hatine eÅŸkence kirin, lÃªxistin Ã» kuÅŸtin: hunermend, nivÃ®skar Ã» rewÅŸenbÃ®rÃªn wÃª tim hatine ceza kirin Ã» eÅŸkence Ã» zindan ketiye para wan. WekÃ® encama wan sÃ®yasetÃªn Ã®nkar Ã» faÅŸÃ®stÃ®, bi mÃ®lyonan Kurd nikanin bi zimanÃª xwe yÃªn dayike bipeyÃ®vin Ã» hejmarÃª KurmancÃ®exifan roj bi roj kÃªmtir dibe. WekÃ® SerokwezÃ®rÃª HikÃ»meta HeremÃ® ya KurdistanÃª, em ji we hÃªvÃ® dikin ku, jibo parastina KurmancÃ®, demekÃ® zutir hinek tedbÃ®rÃªn bistÃ®nin ku zimanÃª me yÃª ÅŸerÃ®n, bi temamÃ® ji holÃª ranebe Ã» nemire. Bi dÃ®tina me, divÃª bi tevlÃ®bÃ»na linguÃ®st, rewÅŸenbÃ®r, nivÃ®skar Ã» lÃªkolÃ®nerÃªn Kurmanc, li DuhokÃª konferansek were lidar xistin da ku seba parastin Ã» vejandina KurmancÃ® biryar bete dayÃ®n Ã» rÃª Ã» rÃªbaz werin dest nÃ®ÅŸan kirin. Her wiha, divÃª, hinek derfetÃªn aborÃ® werin peyda kirin ku pirtÃ»k, rojname Ã» govarÃªn KurmancÃ® werin Ã§ap kirin Ã» berhemÃªn hÃ®nkirina KurmancÃ® mÃ®na CD Ã» programÃªn kompÃ®terÃ® werin amade kirin. Meriv dikane pÃªÅŸnÃ®yarÃªn vÃ® rengÃ® zedetir bike lÃª em dixwazin nameya xwe dirÃªj bikin. Gava, daxwazÃ® Ã» hÃªvÃ®yÃªn me ji hikÃ»meta we bi vÃ® awayÃ® ne, ku rewÅŸa KurmancÃ® ya tar Ã» mar bete qenc kirin Ã» birÃ®nÃªn wÃª bete derman kirin, wan dengÃ»basÃªn dÃ»mahÃ®yÃª ku ji baÅŸÃ»r tÃªn, em dilÅŸikestÃ® kirin. KurmancÃ® ku li baÅŸÃ»r wekÃ® BehdÃ®nÃ® tÃª binav kirin, bÃª qedr Ã» qiymet e Ã» statÃ»ya wÃª jÃ® tune ye. Her Ã§i qas nÃ®sbeta KurmancÃ®axefan, ji yÃªn SoranÃ®axefan ne gelek kÃªmtir in, cÃ®yÃª daxÃª ye ku rÃªber Ã» sÃ®yasetvanÃªn baÅŸÃ»r wekÃ® kurÃª zirbavÃª li KurmancÃ® meze dikin Ã» ti girÃ®bgÃ® nadine wÃª. www.pcgn.org.uk/The%20Kurdish%20Toponymy%20of%20Northern%20Iraq.pdf hejmara Soraniaxefan 2.8 mÃ®lyon e (% 10.6 nÃ®fÃ»sa ÃŽraqe) Ã» yÃªn KurmancÃ®exef jÃ® 2.2 mÃ®lyon in (% 8.4 nÃ®fÃ»sa ÃŽraqÃª). Her Ã§end, di navbera van her dÃ» zaravayan ferqek mezin tÃ»ne be jÃ®, cÃ®hÃª daxÃª ye ku KurmancÃ® di vÃª rewÅŸa pir nizm Ã» bÃª qÃ»ymet da ye. DÃ®sa, bÃª gumanÃª ku KurmancÃ® dayalekta KurdÃ® ye ku ji alÃ®ye % 75,a Kurdan tÃª axaftin. Her wiha ji nav hemÃ® zaravayÃªn zimanÃª KurdÃ®, bi tenÃª KurmancÃ® li her Ã§ar perÃ§eyÃªn KurdistanÃª tÃª peyÃ®vÃ®n Ã» wekÃ® em dizanin SoranÃ® tenÃª li hinek beÅŸÃªn Kurdistana BaÅŸÃ»r Ã» Rojhilat tÃª axaftin. Heger Kurdistan yek perÃ§e ye Ã» em gÃ®ÅŸ birayÃªn hev in, vÃª Ã§axÃª, pÃªdivÃ® ye jibo KurmancÃ® Ã» KurmancÃ®axefan betir rÃªz Ã» ihtÃ®ram hebe. EÅŸkere ye ku bi red kirin Ã» tÃ»ne kirina KurmancÃ®, gelÃª Kurd nikane bibe xwedÃ®yÃª zimanekÃ® hevbeÅŸ Ã» yekgirtÃ®. Jiber vÃª yekÃª, ÅŸermekÃ® giran e ku em di wan rojÃªn dawÃ® de rastÃ® hinek raport Ã» nivÃ®san tÃªn ku birastÃ® dilÃª meriv pir diÅŸkenin. BerÃ® her tiÅŸt, nÃ®yetaka gelek cÃ®ddÃ® heye ku KurmancÃ®/BehdÃ®nyÃª ji seranser Kurdistana BaÅŸÃ»r rakin Ã» hemÃ® dersÃªn xwendinÃª bikin Sorani. Ya diduyan ev e ku, me bi dilgermÃ® xwend ku, li ser navÃª HikÃ»meta HeremÃ® ya KurdistanÃª, we kontraktek bi Microsotf re Ã®mze kir, ew ÅŸÃ®rket Windowsa KurdÃ® derxÃ®ne. WekÃ® tÃª zanÃ®n, ev Ã§end sal in, bi peÅŸengÃ®ya KurdÃªn BakÃ»r bizavek dihat meÅŸandin ku Microsoft, bernameya WindowsÃª bi zimanÃª KurdÃ® hazir bike. LÃª, wekÃ® mÃ®lyonan Kurd, dilÃªn me bÃ» perÃ§e perÃ§e ku me xwend ew kontrakta we Ã®mze kirÃ®ye bi tenÃª SoranÃ® ye Ã» bi tÃ®pÃªn erebÃ® ye. Wateya wÃª jÃ® ev e ku, em ango KurdÃªn BakÃ»r digel kurdÃªn Rojaba nikanÃ®bin ji vÃª programÃª sudÃª vergirin Ã» vÃª programÃª bikar bÃ®nin. Em ji dil hÃªvÃ® dikin ku, van tiÅŸtÃªn hatine gÃ»hÃªn me ne rast in Ã» hikÃ»meta we li ser Windowsa KurmancÃ® jÃ®, bi Microsoft re kontrakt Ã®mze kirÃ®ye. Em KurdÃªn serbilind in Ã» her tiÅŸtÃªn giredayÃ® Kurd Ã» Kurdistan hez dikin. Her Ã§end em Kurmanc bin jÃ®, em biÃ§ek SoranÃ® jÃ® ferbÃ»ne lÃª ne ku ew dayalektek taybet Ã» bilind e lÃª jiber ku perÃ§ekÃ® zimanÃª me ye. DivÃª Soran jÃ® hezÃ® zimanÃª me bikin Ã» qedr Ã» qiymet bidinÃª wÃª. Bi qedexe kirina KurmancÃ® yan jÃ® bi biÃ§Ã»k dÃ®tina wÃª em nagehjin derekÃ®. DivÃª rind were fehm kirin ku gava KurdÃªn KurmancÃ®axef zimanÃª xwe jibÃ®r bikin, ew dest bi axaftina tirkÃ®, erebÃ® yan farisÃ® bikin lÃª ne soranÃ®! Em hemÃ® zaravayÃªn zimanÃª KurdÃ® hez dikin Ã» dive jibo wna gÃ®ÅŸkan rÃªz were dayÃ®n. LÃª divÃª baÅŸ were fehm kirin ku KurmancÃ®ya ÅŸerÃ®n ji EhmedÃª XanÃ®, Melaye Ciziri, Feqiye Teyran, Ehmede Beyazidi, Cegerxwin Ã» ji dengÃªn bedew yÃªn Mihemed ArifÃª CizirÃ®, HesenÃª CizirÃ®, EyÅŸe Åžan, Meryemxan, Mihemed ÅžÃªxo, KarapetÃª XaÃ§o, ÅžeroyÃª Biro, KawÃ®s Axa Ã» ji yÃªn din emanet maye Ã» erka her Kurdek e ku vÃ® zimanÃª hÃªja Ã» sipehÃ® biparezin ku ji nav pelÃªn dÃ®rokÃª hinda nebe. Ku ew zimanÃª delal hinda be Ã» bimire, em dÃª li mirovahÃ®yÃª stÃ» xwar bin Ã» dÃ®rokÃª ti car me efÃ» nake. WekÃ® me gava dinÃ® jÃ® anÃ® zimÃªn, wazÃ®fÃª me her Kurdan ev e ku KurmancÃ®yÃª biparezin Ã» qiymeta wÃª bilind bikin Ã» zarokÃªn xwe jÃ® ferÃ® KurmancÃ®yÃª bikin. Di vÃ® warÃ® de, rolekÃ® mezin dikeve ser milÃª sÃ®yasetvanÃªn Kurd mÃ®na we, Ã§imkÃ® hÃ»n SerokwezÃ®rÃª Kurdistana BaÅŸÃ»r in Ã» tenÃª vÃª perÃ§Ãª welatÃª me azad e Ã» hÃªvÃ®ya mÃ®lletÃª kurd li ba we ye. Em ji dil hÃªvÃ® Ã» bawer dikin ku hikÃ»meta we, jibo parastin, zindÃ® kirin Ã» pÃªÅŸve birina KurmancÃ®, di demekÃ® zutir de hÃ®n xÃ®zmetÃªn pÃªÅŸÃ§av bike Ã» tedbÃ®rÃªn pedivÃ® bistÃ®ne Ã» Windowsa KurmancÃ® jÃ® bibe pengava yekan. You are currently browsing the Roj Bash ! weblog archives.